Yolngu people of Arnhem Land speak a dozen dialects of a language group known as Yolngu matha. English is very much a second (or thirteenth) language. Since the 1960s Yolngu leaders have been conspicuous in the struggle for Aboriginal land rights. In 1963, provoked by a unilateral government decision to excise a part of their land for a bauxite mine, Yolngu at Yirrkala in north east Arnhem land sent to the House of Representatives a petition on bark (the traditional medium for visual art representation). The bark petition attracted national and international attention and now hangs in the national parliament as a testament to the Yolngu role in the birth of the land rights movement. Yolngu artists and performers have been at the forefront of global recognition of Aboriginal and Torres Strait Islander culture. Yolngu artists, renowned for their fine cross-hatching paintings on bark have international reputations and Yolngu traditional dancers and musicians have performed widely throughout the world and had profound influence on contemporary performance troupes. Yothu Yindi, the band, are Australia’s most successful and widely recognised contemporary Indigenous music group. Yolngu culture in northeast Arnhem Land — a heartland of Aboriginal culture and land rights — is among the oldest living cultures on earth, stretching back more than 40,000 years. Yolngu have many ways of talking about processes of learning which draw on aspects of their world view. 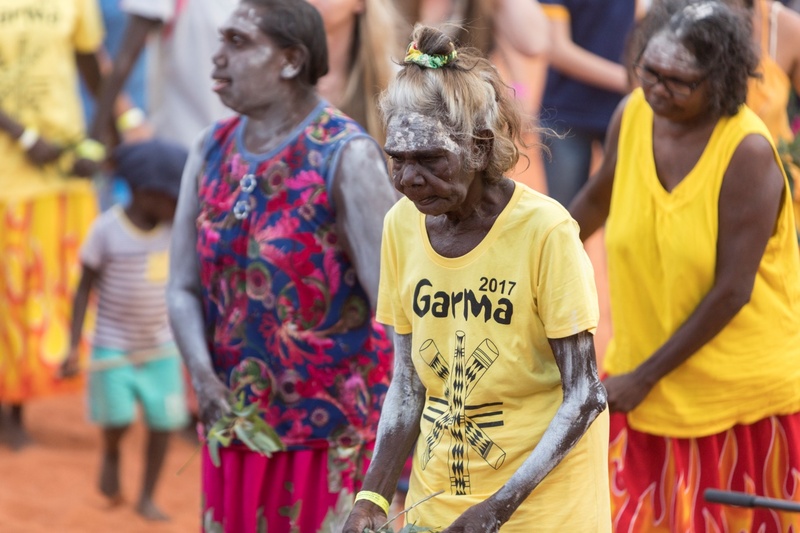 For example, some yirritja groups talk about the meeting of the salt and fresh water as a metaphor for the concept of garma. Some dhuwa groups use the metaphor of milngurr – the relation between an artesian freshwater spring and their tidal influences – to elaborate similar ideas. Yolngu people speak a dozen dialects of a language group known as Yolngu Matha. 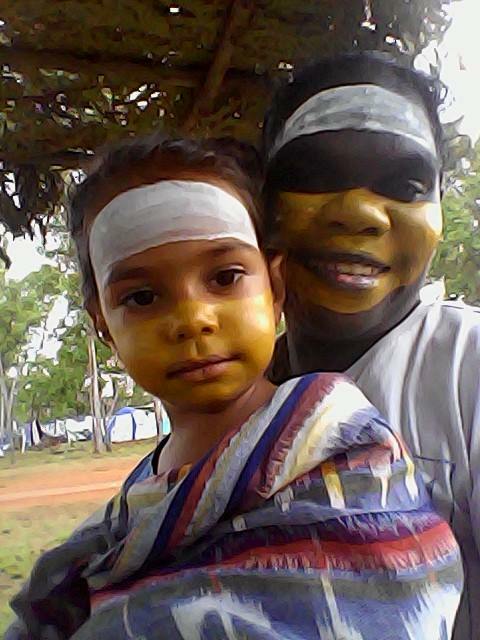 English is a second (or thirteenth) language for many Yolngu. Thanks to NTU (now Charles Darwin University) for permission to use the interpretive materials. The Yolngu have maintained their cultural distinctiveness and integrity in a manner rarely equaled elsewhere on the Australian mainland. The Yolngu lived a traditional lifestyle until 1935 when Balanda (Europeans) began to live in the area. 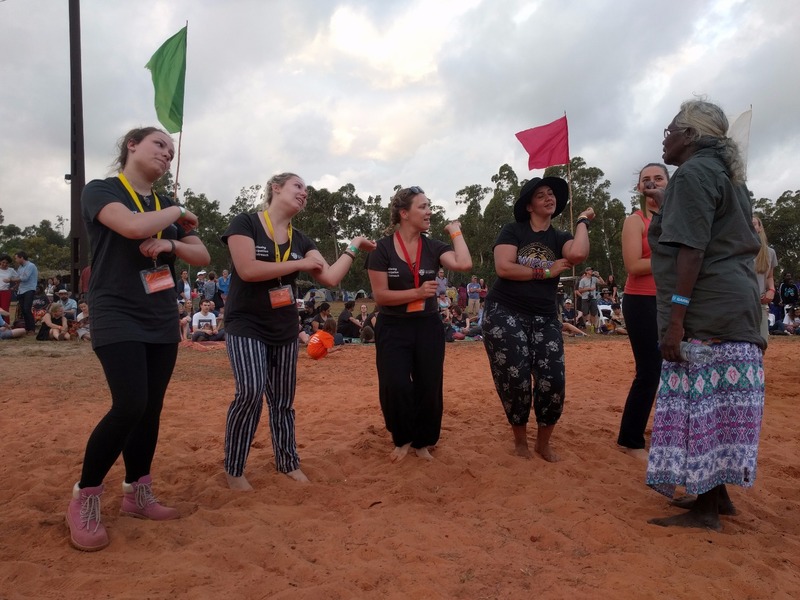 Sustained contact between Yolngu and Balanda came firstly through the Methodist missions, then through contact with service personnel during World War Two and more recently with the imposition of a multi-national mine on their lands. The evidence shows a subtle and elaborate system highly adapted to the country in which the people led their lives, which provided a stable order of society and was remarkably free from the vagaries of personal whim or influence. If ever a system could be called ‘a government of laws, and not of men’, it is that shown in the evidence before me. (Milirrpum v Nabalco (1971) 17 FLR 141, at p 267) However, Justice Blackburn upheld the now discredited doctrine of terra nullius and the bauxite mine went ahead on Yolngu lands. It wasn’t until 1992 that the High Court of Australia overturned terra nullius in the famous Mabo land rights case. Yolngu people have continued to be active in the land rights struggle. The Chairman of the Yothu Yindi Foundation is Galarrwuy Yunupingu. He interpreted for his father, the leader of the Gumatj clan in the Milirrpum case and is now widely regarded as the elder statesman of Indigenous leaders.  He has been the Chairman of the influential Northern Land Council since 1983, he was honoured as Australian of the Year in 1978 and in 1985 he was awarded the Member of the Order of Australia (AM) for his services to the Australian Indigenous community. Yolngu artists and performers have been at the forefront of global recognition of Aboriginal and Torres Strait Islander culture. Yolngu artists, renowned for their fine cross-hatching paintings on bark, have international reputations and Yolngu traditional dancers and musicians have performed widely throughout the world and profoundly influenced contemporary performance troupes. Yothu Yindi, the band, is Australia’s most successful and widely recognised contemporary Indigenous music group. The main kinship term Yolngu people use to describe the glue that binds their society is yothu yindi, literally meaning ‘child and mother’. The Yolngu concept of Yothu Yindi recognises duality and fosters balance where there is difference. It encompasses the two sides of a world in which balance is maintained: a balance between people and that has ensured their survival for tens of thousands of years. Arnhem Land is an area of 97,000 sq. km in the north-eastern corner of the Northern Territory. It extends from Port Roper on the Gulf of Carpentaria around the coast to the East Alligator River where it adjoins Kakadu National Park. The region was named by Matthew Flinders after the Dutch ship Arnhem which explored the coast in 1623.  The coast has one of the longest histories of exploration of any area in Australia. It is likely that the first Indigenous people, making their way across the Indonesian archipelago some 40-50,000 years ago, arrived on the Arnhem Land coast. Certainly by the fifteenth century the coast was being regularly visited by Indonesian and Malaccan sailors and traders. In 1644 Abel Tasman sailed along the coast and in 1803 Matthew Flinders, as part of his circumnavigation of Australia, charted the complex coastline. The inland areas were explored by Ludwig Leichhardt, who travelled through the area on his 1844-45 journey from Moreton Bay to Port Essington, and David Lindsay, the South Australian surveyor, who, in 1883, was commissioned to explore the central and eastern sections of Arnhem Land. He met with strong resistance from the local Indigenous people. At one point his party was attacked by over 300 men. The area continued to be explored throughout the nineteenth century but much of it was inaccessible. The northern coast, for example, is characterised by mangrove swamps and tidal rivers. Inland from the mangrove swamps are areas of tropical jungle, swamps and gorges. Thus the Yolngu, who have lived in Arnhem Land for at least the last 25 000 years, tend to live near the coast where fish are abundant and life is relatively easy. The reserve is noted for its rich examples of rock art and Indigenous artifacts. The stone axes found in the reserve are some of the oldest in existence.